Scientific name Aedes aegypti subspp. Habitat Forest to city area. Reproducing in pools in tree hollows (forest subspecies) and in artificial stuff such as water jars (city area subspecies). Range in Japan Occurred in Kumamoto Pref. (1944-1952) and Okinawa Pref. (by early 20 C). However, this species had been replaced by fuAedes albopictus. Date The first recorded in Kumamoto Pref. was in 1944. Unknown for Okinawa. Route Unknown. Hawaii population is assumed to be transported with ships. Impact Actually: a dangerous vector for dengue, yellow, and Chikungunya fever viruses. 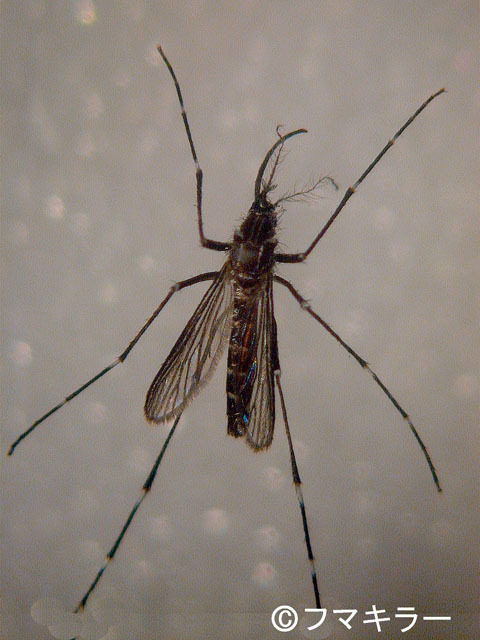 Dengue fever was emerged when this species was established in Kumamoto Pref. Introduced range in other countries Entire the tropical area. This species is dominant in SE Asia, whereas A. albopictus is dominant in USA mainland and Hawaii. ISSG. Global Invasive Species Database (GISD) (Accessed on 2012-3-09) http://www.issg.org/database/welcome/.